No. 8 Penn State football will finally be back in action when Michigan State comes to Beaver Stadium Saturday. The Spartans began the season as the No. 11 team in the country, but slipped out of the top 25 last week after losses to Arizona State and Northwestern. 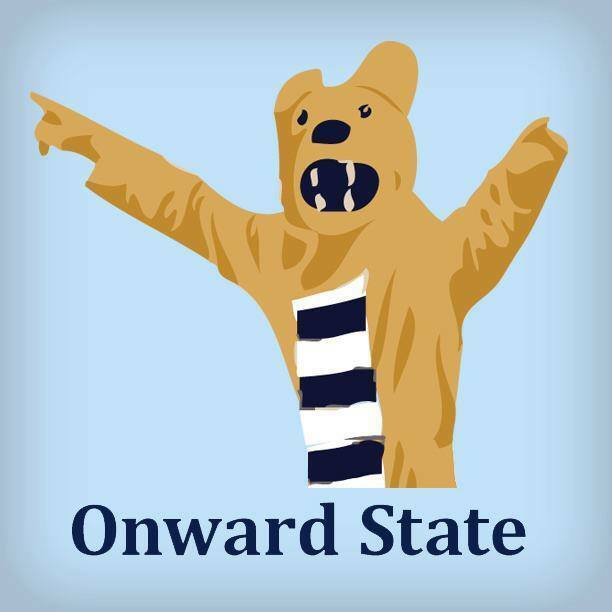 Meanwhile, the Nittany Lions are coming off a bye week following a heartbreaking loss to Ohio State. Our staff is confident that Penn State can get back on the right track during the annual Homecoming game. I expect Penn State to bounce back in a big way against Michigan State. The bye week couldn’t have come at a better time, something James Franklin and Trace McSorley both mentioned as they each praised the team for how good it looked at practice this week. This is a much weaker Michigan State team than we’ve seen in years past, with losses to Arizona State and Northwestern sending the Spartans out of the top 25. Look for big games from the wide receiver group, a unit that has struggled at times this year but should be able to feast against a weak defensive backfield. With something as prestigious as the Land Grant Trophy on the line, expect James Franklin to have his team ready to go for Saturday’s Homecoming matchup. Neither team can play very good pass defense, and both teams have quarterbacks who can really air it out. I think this game has shootout written all over it, but I think Penn State’s defense is bound to make more plays at home against the Spartans. LJ Scott’s availability may also factor into how close this game is, but you can expect KJ Hamler and Juwan Johnson to star in a victory for the Nittany Lions on Saturday. I expect Penn State to play with a vengeance this Saturday after falling to Ohio State in its last game. The Spartans spoiled the Nittany Lions’ chances of getting to the College Football Playoff last year, so they’ll be out to get revenge for that, too. Coach Franklin should have his team prepared for a team that just lost to Northwestern, especially considering the team is coming off its bye week. Trace McSorley and Brian Lewerke will both be productive on the day, but in the end Penn State will pull away with superior offensive playmakers. The momentum is on Penn State’s side this weekend. The team is fresh off its bye week and has the “revenge game” narrative going for it after failing to defeat Michigan State last year. After suffering a heartbreaking loss to Ohio State, each and every player is certainly striving for a win against the reeling Spartans following their unexpected loss to Northwestern last weekend. Although they aren’t out of the playoff picture yet, Penn State will likely need to win out to keep their hopes alive, so expect a win from the Nittany Lions this weekend. Don’t expect Penn State to sleepwalk after an emotional loss to OSU once again this year. The bye week was huge for the Nittany Lions to physically and mentally recover from the loss to the Buckeyes, and I expect them to come out looking for revenge against a questionable Spartans team. Quarterback Brian Lewerke has had the turnover bug all season and the Penn State defense will capitalize on this early and often. Expect a few quick Penn State scores in the first quarter thanks to solid field position off of big defensive plays. I know everyone likes to talk about Sparty’s run defense, but the fact of the matter is they haven’t faced a quarterback with the running ability of Trace McSorley. He’ll have a big day on the ground while keeping his passing touchdown streak alive in a much-needed bounce back victory for Penn State. This is far from Mark Dantonio’s best Michigan State team. The Spartans barely beat Utah State in week 1, lost at Arizona State in week 2, and then got upset by a Northwestern team that was 1-3 going into the game last week. Penn State should be refocused and re-energized following its bye week. Expect the Nittany Lions to avenge their loss to Michigan State from last season with a comfortable homecoming win this time around. The Michigan State Spartans have had a disappointing season thus far. Mark Dantonio’s squad was ranked No. 11 in the preseason AP Top 25. Since then, they’ve dropped games against Arizona State and Northwestern. The offensive line has been dismal this season and Brian Lewerke has just six passing touchdowns. With Shane Simmons and CJ Thorpe factoring in on the defensive line this weekend, the Spartans probably won’t be able to get much going on offense. Defensively, Michigan State is undeniably strong. The Spartans have the best rush defense in the FBS and have Joe Bachie, one of the best linebackers in college football, on their side. Still, Trace McSorley should be able to pick apart the secondary on Saturday for a big game through the air. I see the Nittany Lions putting together a complete performance on defense against an inconsistent Michigan State attack that isn’t nearly as dangerous as last year. Freshman tight end Pat Freiermuth, now the outright starter, will likely continue his strong play with a touchdown or two. This game shows signs of a blowout. With plenty of rest and practice, the Nittany Lions will be going in with clear minds despite getting their hearts torn out by Ohio State. The Spartans, despite having the best rush defense in the NCAA, haven’t played anyone of note and are currently in free fall after a torrent of bad losses. Look for that defense to get exposed and torn to shreds by a Penn State team hungry for redemption, especially after having its playoff hopes dashed by a surprising loss to Michigan State last year. The Nittany Lions won’t make the same mistake twice. Penn State still has that rough loss last season at Michigan State in the back of its mind and will not let the hangover from the Ohio State defeat carry over like it did a year ago. Michigan State, aside from its run defense, has been less than impressive all season. Expect Penn State to shut down the Spartan offense and Trace McSorley to build off his killer performance against the Buckeyes. This one will never look close, folks. The Nittany Lions are fresh off of a bye and have too much motivation coming into this weekend’s matchup with Michigan State. The bad taste in their mouths from last year’s rain delay upset, the bad taste in their mouths from the loss to Ohio State two weeks ago, the most beautiful trophy in college football up for grabs…need I say more? Trace McSorley will pick right back up where he left off before the bye, and so will Sean Clifford in garbage time. It’s time for the Land Grant Trophy to return home to State College. “Fool me once, strike one. Fool me twice… strike three.” We won’t see a repeat of last year’s Penn State-Michigan State matchup in Happy Valley this weekend, as I think the Nittany Lions will put together a complete 60-minute effort to take down Michigan State. I think Penn State’s run game will struggle, but Trace McSorley will throw touchdowns to KJ Hamler ad nauseam against the Spartans’ dismal secondary. Brian Lewerke is a tremendous quarterback, but I expect Penn State’s secondary to step up and have one of its best games of the season. That group needs to bounce back from a tough fourth quarter against Ohio State, and I think it will help smother Michigan State on Saturday. Trace McSorley in the locker room after the Ohio State game.